On Target Media is a full-service advertising agency that hits the mark. Not to sound too cliché, but our marketing services put our clients in front of their target markets at the right place, at the right time… and, all for the right price. Considerable time and energy has gone into fine-tuning our well-crafted marketing services and we would love nothing more than to give you a taste of what our team can do for you. Request a FREE consultation today! The most effective media plan is one that includes careful research, aggressive negotiation and well-placed ads. On TV, radio, billboards and other media channels, we’ve got you covered. You need it, we can produce it. Our award winning production team will make sure that your next television ad, radio ad, product video or testimonial is creative, memorable and informative. A well-developed web site is pleasing to the eye and converts website visitors into customers. Our web development team ensures that visitors who visit your site can find what they want in the fewest clicks possible. Search engine optimization (SEO) done correctly helps your website be found by search engines and shown on the top pages of search results. We’ll make sure that your found and strategically placed above the competition. Sometimes you need a little extra push to be found online. Put your site into the hands of our PPC team and let us deliver more qualified visitors to your website. As times change, so do the traditional roles of how you promote and share your personal brand as well as your products and services. Our team is prepared to employ social media and/or PR to flip, spin, promote and share just about anything when and where it matters most. 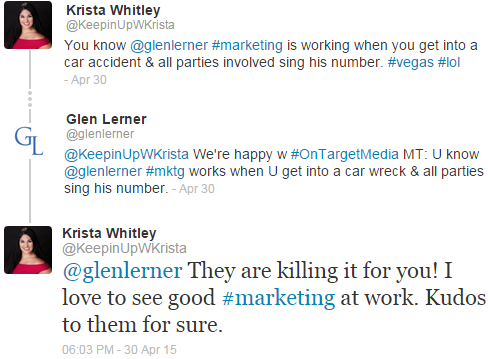 The Word is Out – On Target Media is Killing it! In addition to regular marketing strategies, word-of-mouth is one of the best ways for a business to be found, earn respect as an industry leader and get introduced to new clients. We are pleased to say that we’ve successfully helped our clients get noticed for over a decade, and all that hard-work and dedication has not gone unnoticed.